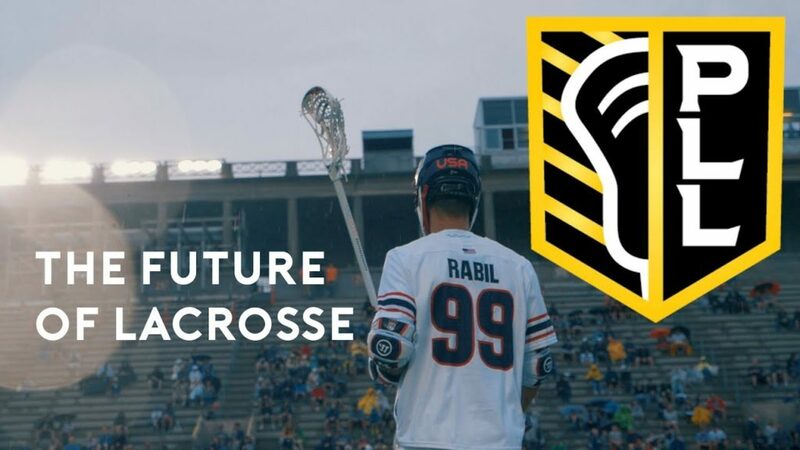 The Creator's Game | The Blog For The Fastest Game On Two Feet & America's Fastest Growing Sport of Lacrosse! Posted on July 22, 2018 by DrLax. Summer lacrosse camps for youth and high school athletes are not new. In my youth and high school playing days spanning the mid 80’s – early 90’s growing up in northeast NJ, my friends and I had Rutgers summer camp. Not only did we get great college level instruction, we stayed in dorms together, participated alongside rival lacrosse townships (making spring games even more fun with familiar face lined up against us), and participated with kids from Upstate and Long Island NY. It was amazing! 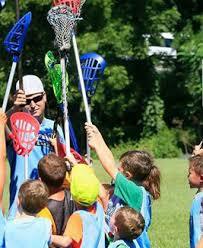 These days, there are a lot more summer lacrosse camps! I have started to lose count. Not all camps are created equal, so be certain to do your research, ask questions, and try to speak with parents of children who have done a given camp before enrolling your child. Our Space Coast Elite Lacrosse Club is very proud to have pulled off our 4th annual Pro Camp run by professional lacrosse players, Division I college assistants, and lacrosse specific strength and agility training experts. Our newest addition to our camp this year, Florida Launch midfielder Duncan Clancy noted how unique our camp is with the depth of talent and diversity and shear numbers of kids (51 boys, 24 girls with divisions from 3rd to 12th grade). With our area, Viera Florida, being a very fun place to visit (Kennedy Space Center is just a 15 minute drive north, Cocoa Beach is right over a causeway, and Disney theme parks only an hour drive west in Orlando), I would encourage out of state families to visit, have their kids participate in a top rate camp, and make a family vacation out of it. 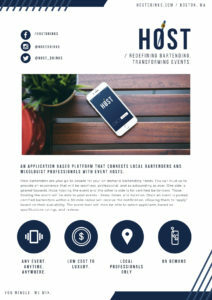 Our course, we are not the only camp around, but I would caution that there are many that promise a lot but deliver little, more interested in taking your money than anything else. Unfortunately, this includes some of the college sponsored lacrosse camps. 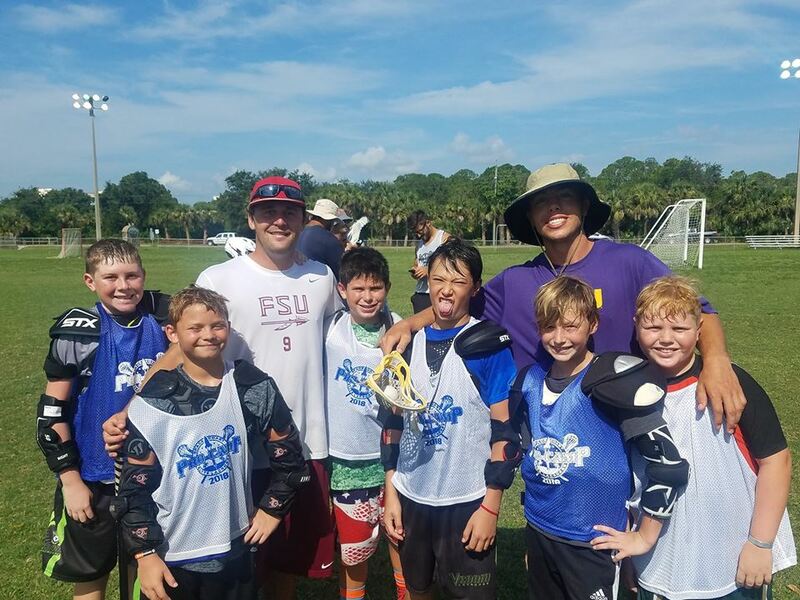 However, summer is unique opportunity for your lacrosse player to experience great coaches, different training techniques and philosophies, and network with kids from many different areas in summer camps. They not only become better players, but realize that they have so much in common with kids that love lacrosse no matter where they come from. Posted on May 28, 2018 by DrLax. For 3 time National Champion Duke Men’s Lacrosse, the NCAA tournament finals on Memorial Day is a familiar place. Yale on the other hand has one only one to their credit if one counts the pre-NCAA era where they shared a co-championship with Harvard in 1883. Despite the weight of history that favors Duke, by all statistical evidence, these teams are deadlocked in almost every category of play. 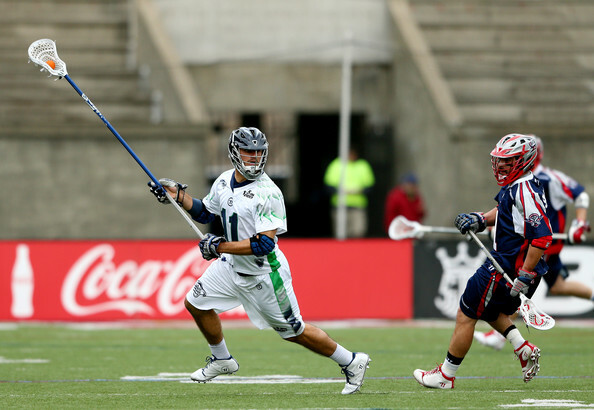 In fact, Lacrosse Reference compiles statistical data that is used to predict game outcomes. In a game where any team can beat any other team on any given day despite stats and what is on paper, more often than not, Lacrosse Reference is remarkably correct. In the case of Duke vs Yale, Lacrosse Reference puts each team at the exact same statistical advantage at 1932. That places this game a a 50-50 toss up for who may or may not take this game. Again, even taking this into account, the teams are also deadlocked. It truly is anyone’s guess who will take this game today. One thing seems assured though, this game seems at the very least poised to be one for the ages. Although I am a sucker for the underdog and am personally pulling for Yale (sorry Duke fans, but you have 3 under you belt), on the big stage, experience tends to win the day. Duke head coach John Danowski has been there, done that. He has the poise and experience to make adjustments on the fly in big game situations unmatched by most of his peers. 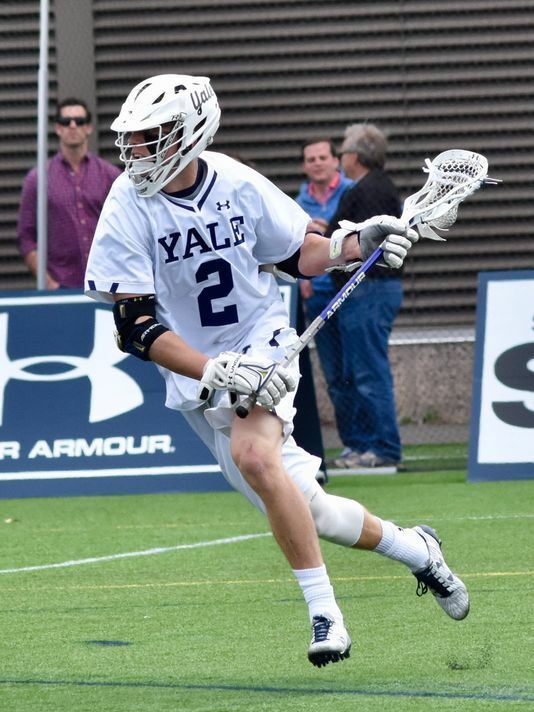 While my heart is with Yale, I predict that Danowski is the one factor that gives Duke the edge on this one. Happy Memorial Day lax lovers! You are in for a treat today! Posted on March 27, 2018 by DrLax. As lacrosse coaches we want a high level of structure and consistency to our offensive and defensive schemes. On the offensive side, we want each player knowing where to be in space as a teammate initiates a dodge, set the appropriate picks at the right spots on the field at the right time, make the appropriate cuts, etc. On defense, we want good one on one technique with correct help defense ready for 2, 3, and (if we are very fortunate!) 4 slides; as well sticking with cutters. On the other hand, as we drill down with repetition and verbal reinforcement of these concepts, we run the risk of creating quasi-robots that may end up lacking lacrosse IQ on their own without the structure of a scheme. This may inhibit players to think for themselves and go off script to take advantage of mismatches and other opportunities; or fail to have success as structured schemes break down as the often inevitably do. I coached one particular young player named Jared on my high school tournament team for the past 2 years, for example, that by in large stuck to the script of our offense that we call 34 motion. The 34 motion’s basic structure has us constantly going in and out of 1-4-1 and 1-3-2 sets with dodges and off ball movement. Jared has an uncanny ability to note when his defender is ball watching or otherwise disengaged with him and at the right time in the game and would back door cut with an open look to the goal. He generally only does this when the ball is in possession with players he has extensive playing experience and chemistry with that know to watch for him to do this. Jared also sets picks in situations that the offense generally does not call for under regular circumstances simply because he notices that a defender on one of his teammates it not even remotely looking for it. I teach my players at all levels that although we have a fundamental structure, it is important to understand that they are not robots and are encouraged within reason to get creative and use their lacrosse IQ. The concept of incorporating what some coaches refer to as free play facilitates this. In addition to helping to build lacrosse IQ and encourage free thinking, free play also is a great deal of fun for young players who get bored with structured drills and set offenses and defensive schemes. A basic free play model of half field has teams of 5 split evenly with an even number of D-poles on each team and the goalie playing for both teams. D-poles play both offense and defense and the format is basically like half court basketball. If the defensive team gets the ball back, they have to “check” the ball by clearing it to a point 5 yards north of the restraining box to then be able to go on offense. While middies are accustomed to playing both offense and defense, most D-poles and attack are not, so free play enhances their game by letting them experience life on the other side to to speak. Playing an opposing position in this manner enables players better understand and exploit its weaknesses. During free play, coaches should not intervene and coach up the players at all other than call penalties, fouls, and out of bounds change of possession. The rest should be up to the players to dodge, move, set picks, and cut all on their own. The result almost instantly is that the players immediately start communicating with one another offensively and defensively, especially when their teammates are out of their depth playing an unfamiliar position. 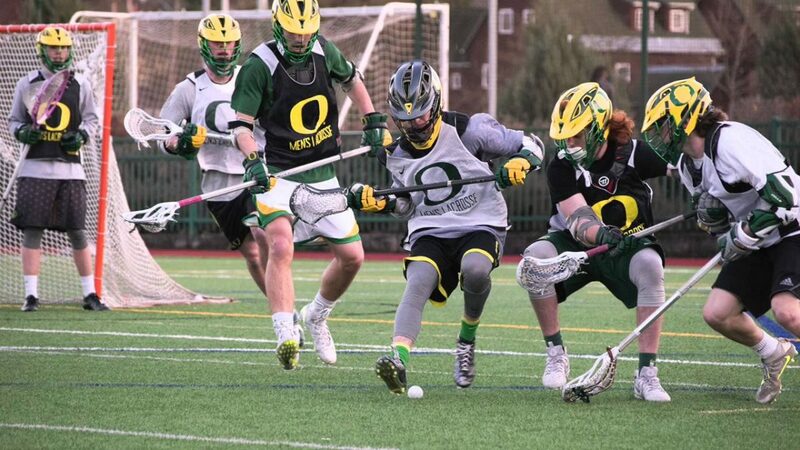 Starting each practice with 5-10 minutes of free play invigorates the players with pick up style play, enhances their lacrosse IQ, and lets them cut loose and have some fun before getting down to business. Beyond enhancing lacrosse IQ, free play also builds bonding as the players perform free of the constraints of coaches critique or judgement, relying solely on one another. To be sure, coaches providing consistency and structure in a team’s game on both sides of the ball is very important. Adding the element of free play in a practice offers them an added opportunity to improvise and create on their own while having a great time in the process. Posted on March 12, 2018 by DrLax. Like the Jedi, lacrosse has its root in ancient North American history, invented by the Native Americans and played on this continent for nearly 1000 years, long before a European ever set foot on these shores. Like the Jedi and per my last article, most lacrosse players are not satisfied to simply excel physically, but also yearn to enhance their lives with academic and career achievement, acts of service, and are compelled to pay it forward to share their knowledge of the discipline to future generations. The weapon of choice of the lacrosse player the lacrosse stick. Although it has undergone many modern innovations, its basic structure of a shaft, head, and basket to carry and throw the ball remains. Like the light saber of Star Wars, it is an elegant weapon designed by an ancient and spiritual people uniquely connected to the earth’s energy that played lacrosse to honor the Creator, for their enjoyment, and even to foster peace as an alternative to war to settle disputes. 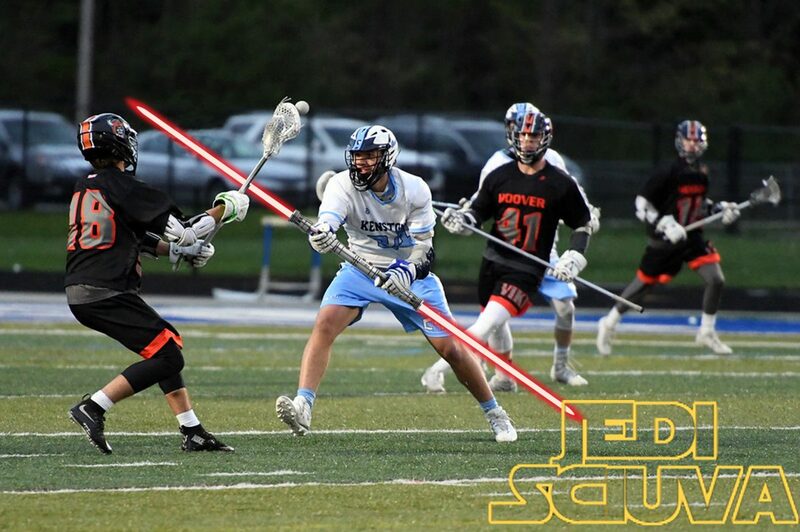 Like the light saber of the Jedi, it is not the lacrosse stick that matters but instead, the skill and discipline of the warrior who wields it. Unique in a country that clings to its love of traditional sports, lacrosse players feel a special sisterhood and brotherhood among one another. I can not even count how many times I have been addressed by a random stranger who is likewise connected to the game to talk lacrosse merely because I was wearing a lacrosse themed t-shirt. This article may seem silly or corny to some, but I don’t care. Like most lacrosse players, I have no qualms about daring to be different and celebrating my weirdness. Most importantly, the idea for this article came from a conversation I recently had with my 9 year old son, who like his Dad is a Star Wars nerd who loves the game of lacrosse. Also like me, fascinated and inspired by Native American culture, beyond enjoyment of the game itself, the Native American roots of lacrosse are for him a source of attraction to the sport. In participating in the game, my son and I both embrace the fact that we are carrying on a truly ancient New World tradition and in coaching him, he is my Padawan learner. Posted on March 8, 2018 by DrLax. Lacrosse is a unique game for many reasons. Its Native American origins, the fact that is carries its own fashion sense, the fact that so many feel compelled to pay it forward and spread the game…are just a few things that make the sport of lacrosse special. 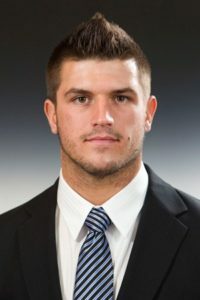 To me, however, the biggest differentiating factor about lacrosse that stands out from other college sports is that its athletes are generally primarily motivated academically. I did my own private polling of elite high school athletes with legitimate Division I potential across three sports in my community to find out what primarily drives them in their pursuit of excellence on the field. 9 out of 10 football players stated that they are driven to play for a top Division I program to one day play in the NFL. 8 out of 10 baseball players were looking to play for a top Division I school to get drafted into MLB. 8 out of 10 lacrosse players, on the other hand, while of course they wanted the enjoyment and glory of competing on a top Division I college program, cited academics and a great education as their primary motivation. This explains why programs like Yale, Cornell, Bucknell, Princeton, Johns Hopkins, and Duke so commonly rank in the top 10. Cornell, Princeton, Hopkins, and Duke all have won national championships. 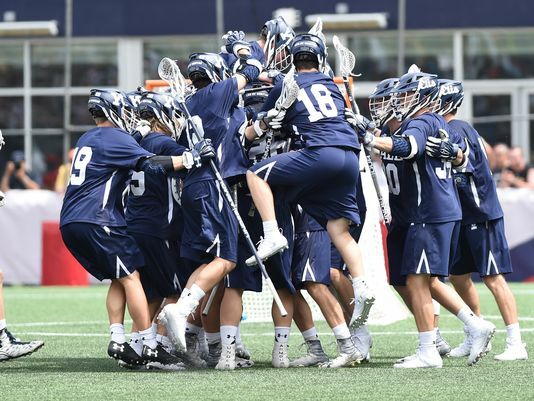 Yale is currently undefeated and has a real shot at contending for a national championship…you would not see this in any other sport than lacrosse. To be fair to football and baseball players, achieving the ranks of professional athlete is a potentially hugely profitable career, whereas professional lacrosse players have to get creative to supplement their meager professional lacrosse pay with coaching and training, endorsing products, etc. 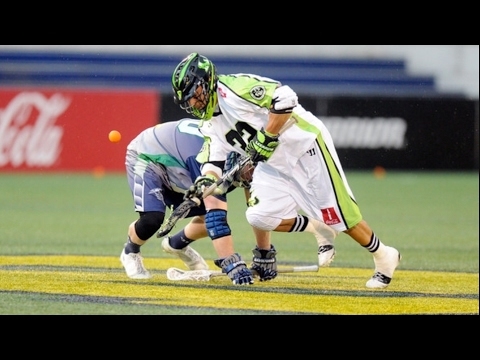 Many have other careers altogether and play professional lacrosse on the side. However, with so few players actually making it to the pros in the other two more traditional sports, the primary motivation of becoming a professional athlete is usually misguided. Case in point, I have a friend who was a two time NJ state All-American left tackle that got a scholarship to play for a Big 10 football college. He was successful and was First Team All-Big 10 his junior and senior seasons. With his sights on playing in the NFL, he had neglected school and never graduated, throwing away the free education that his athletic talent earned him. He ultimately never got drafted into the NFL and bounced around the practice squads of several teams for 2 1/2 years. With no college degree or special skills, he now works an unskilled job that is both financially and intellectually underwhelming for a person who earned a free education. Had my friend taken full advantage at the opportunity of a free education, he could have ended up perhaps working as a highly paid professional. He certainly had the intelligence to do so but was overconfident in his ability to achieve what is realistically a very rare opportunity to play professional sports and so single minded in his pursuit of that goal, that he never really took his education seriously or even really had a career vision outside of football. So many college lacrosse players I know, including several of my former teammates at Montclair State, have gone on to lucrative and interesting careers that enrich their lives. While we all love lacrosse and cherished every moment we got to play NCAA lacrosse, we also understood that lacrosse was most likely a 4 year endeavor and our education was the real means that would be the engine for how we one day make a living for the rest of our lives. At the time I was going through the recruiting process, I had opportunities to play at several colleges, but I chose Montclair State for its affordability as a NJ state university, its academic competitiveness, and most importantly, because they offered my intended major of biochemistry (biochemistry was a relatively new branch of science at the time that many colleges did not offer as a stand alone major). The result was having a blast in college playing lacrosse, but then moving on to use my biochemistry degree to apply for and attend veterinary school. While lacrosse still flows through my veins and I intend to always remain immersed in the game, I also have a fulfilling career as a small animal veterinarian. It is the very best of both worlds and I live each day grateful for having had my cake and eaten it to.